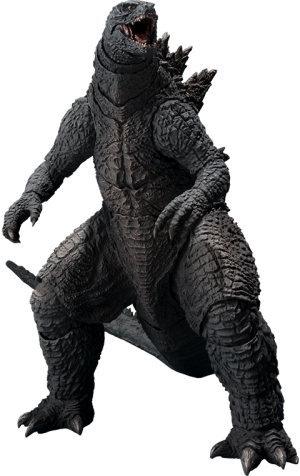 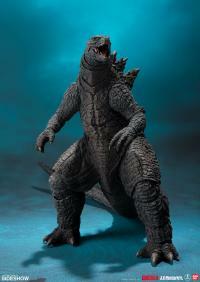 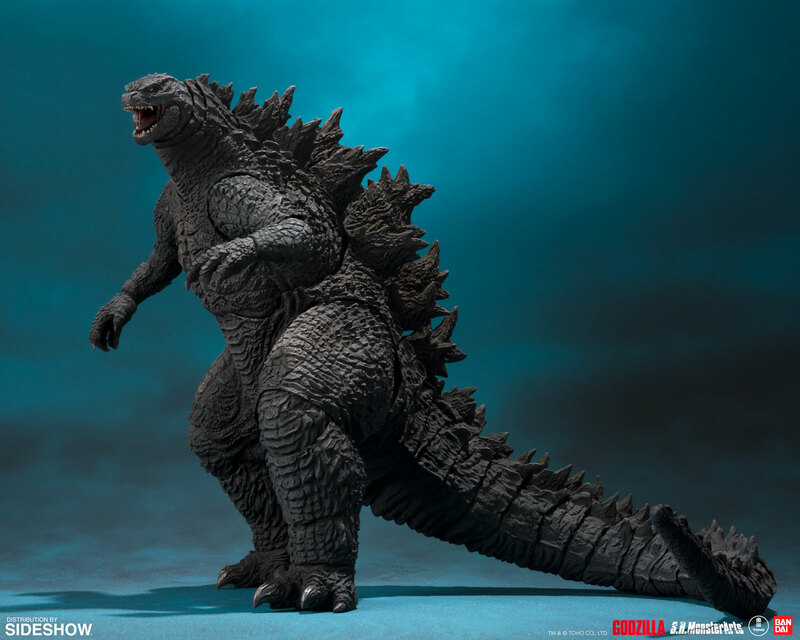 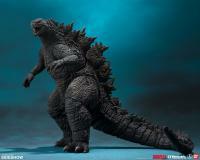 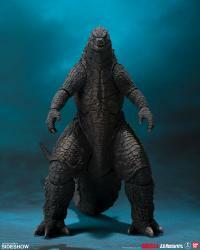 The King of the Monsters is back in S.H.MonsterArts! 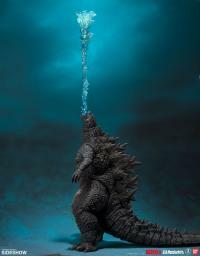 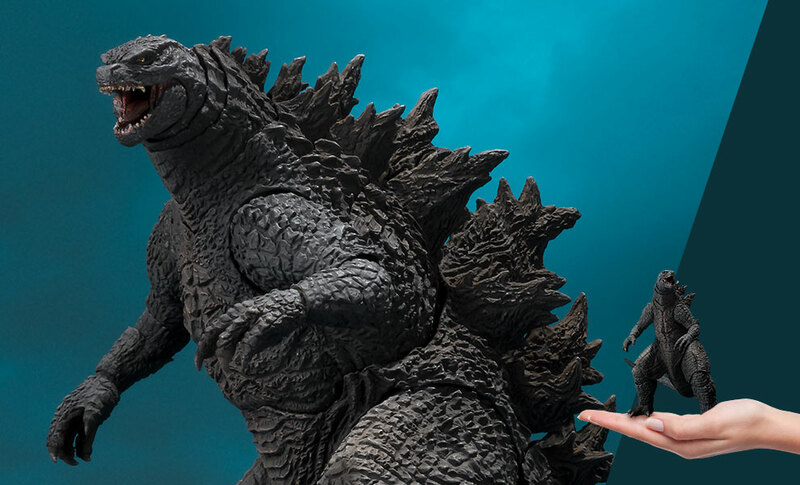 The titanic kaiju as seen in the 2019 film makes his debut, with all of the quality and detail you've come to expect from S.H.MonsterArts. It even includes effects to let you re-enact the dramatic scene from the preview in which he shoots his breath skyward! Based on the same 3D data used in the film itself, and overseen by the legendary sculptor Yuji Sakai, it features accurate proportions, details, and coloration. 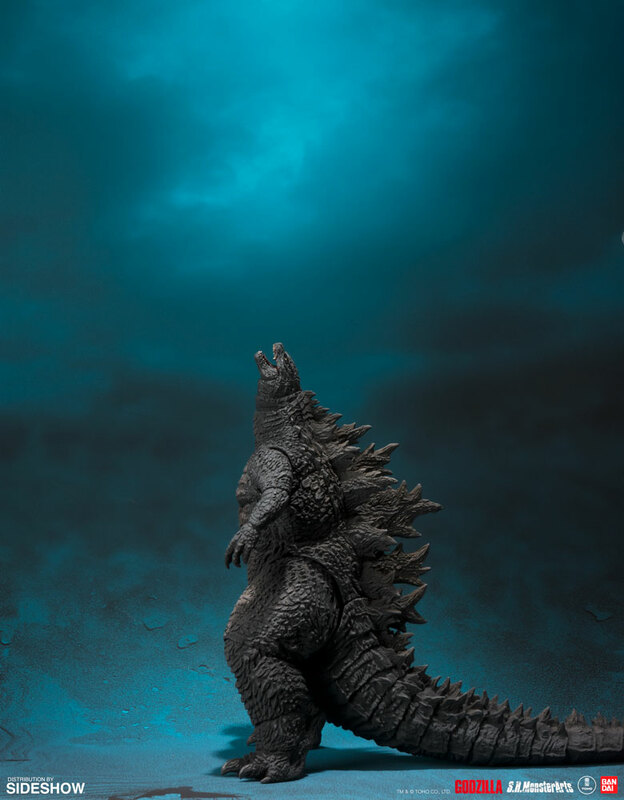 And it's designed to capture classic poses like the one seen on the poster! 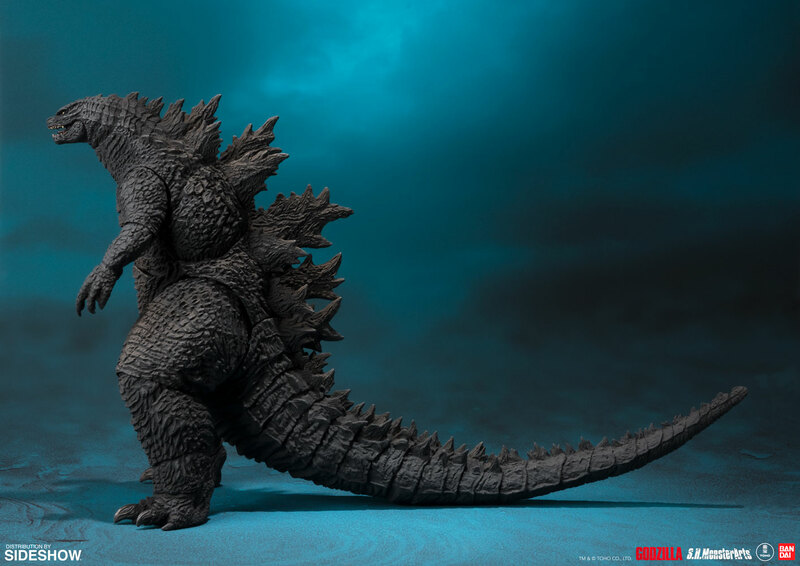 This is an epic new release in an epic figure series. The set includes the Godzilla figure, fire-breath effects, and stands for the effects.